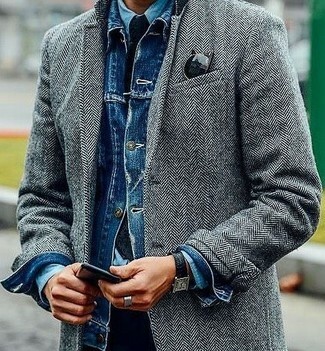 If you're a fan of relaxed dressing when it comes to fashion, you'll love this on-trend pairing of a grey herringbone overcoat and Ray-Ban classic wayfarer 50mm polarized sunglasses matte black none from Nordstrom. 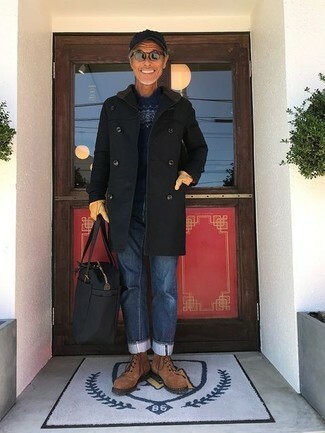 We all want comfort when it comes to dressing up, and this combination of a dark brown parka and Ray-Ban classic wayfarer 50mm polarized sunglasses matte black none from Nordstrom is a vivid example of that. 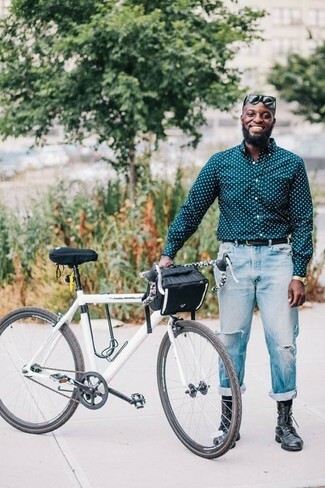 We all getup for comfort when it comes to dressing up, and this combination of a teal polka dot long sleeve shirt and Ray-Ban classic wayfarer 50mm polarized sunglasses matte black none from Nordstrom is a practical example of that. Kick up the cool of your outfit by wearing black leather dress boots. 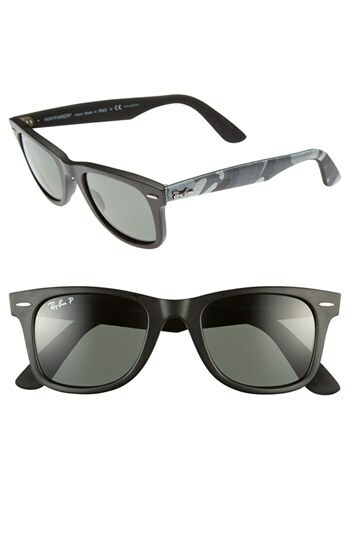 If you're all about relaxed dressing when it comes to your personal style, you'll love this easy pairing of a black blazer and Ray-Ban classic wayfarer 50mm polarized sunglasses matte black none from Nordstrom. Take a classic approach with the footwear and go for a pair of white leather derby shoes. If you're after a casual yet stylish outfit, make a grey suit and Ray-Ban classic wayfarer 50mm polarized sunglasses matte black none from Nordstrom your outfit choice. Both items are totally comfortable and will look great paired together. If you're a fan of functionality dressing when it comes to fashion, you'll love this simple combo of a black overcoat and black sunglasses. Lift up this outfit with brown suede casual boots. 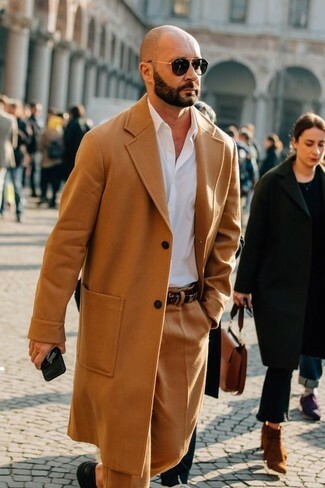 We all want comfort when it comes to dressing up, and this combination of a camel overcoat and Ray-Ban classic wayfarer 50mm polarized sunglasses matte black none is an amazing example of that. Turn your sartorial beast mode on and grab a pair of black leather derby shoes. 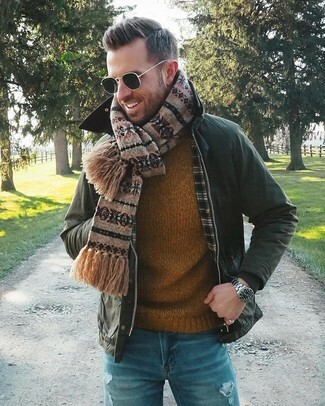 This casual pairing of a dark green barn jacket and Ray-Ban Classic Wayfarer 50mm Polarized Sunglasses Matte Black None from Nordstrom is a safe option when you need to look nice but have no time. If you prefer practicality dressing when it comes to fashion, you'll love this on-trend pairing of a blue floral long sleeve shirt and Ray-Ban classic wayfarer 50mm polarized sunglasses matte black none. Rocking a pair of blue suede derby shoes is an easy way to add extra flair to your look.